Except early Mk.XIIs of course! 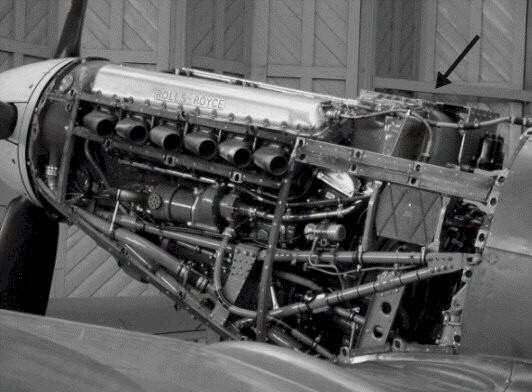 The bulged cowling was caused to the IX by the XVI’s Merlin 266; when the decision was taken to move the filler point, for the 266’s intercooler-mounted header tank, it was found that the hinge mechanism caught the pipe which led from the IX’s Rolls-Royce intercooler to the firewall-mounted header tank. Rather than have separate cowlings for the two Marks, it was decided to bulge the cowling up, slightly, and fit the same item to both Marks. 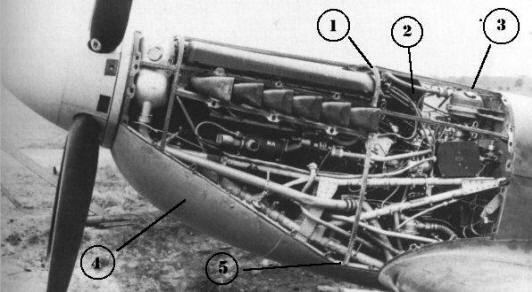 Modification 1398 “To modify the cowling structure to give greater clearance for coolant pipe,” which went into production on 9-8-44, refers. Very interesting the bulged cowling. 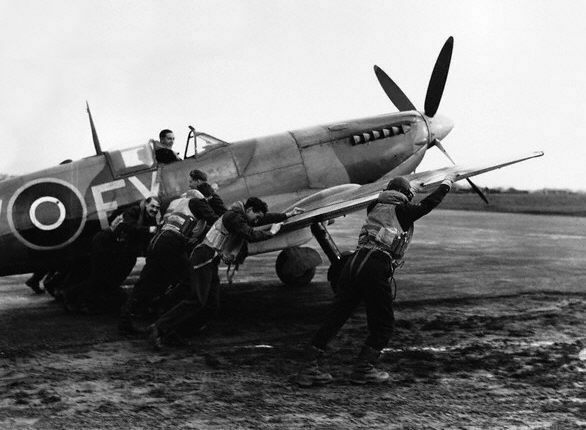 I was quite involved with the South African Air Force Museum flights Spitfire Mk IX. However it was a low back bubble top variant which are mostly XVI’s. However we were told it was Merlin engined so was a Mk IX? 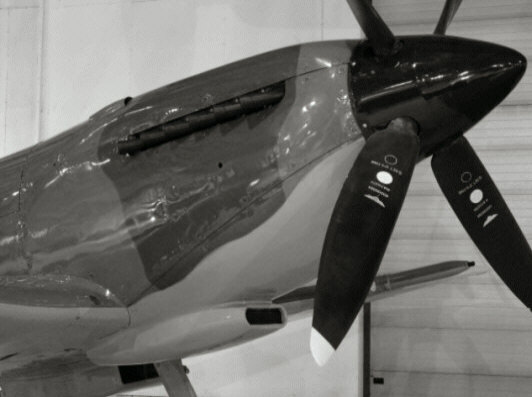 The interesting thing was at the time, the exGuy Black Spitfire MkIX TE566 was hangered at the Museum. What I found interesting was when you sat in the aircraft, the SAAF Museum spitfire’s cowling seemed more squared off, but towards the front of the cowling, whereas TE566 seemed definately rounder, to my eye at least? Interestingly enough, the very top section of the propellor spinner is visable, a great reference point in flight. The exhaust stubbs are not however visable, a good thing at night, as they were bright enough without being in your face I would have thought. In the day, not a problem. 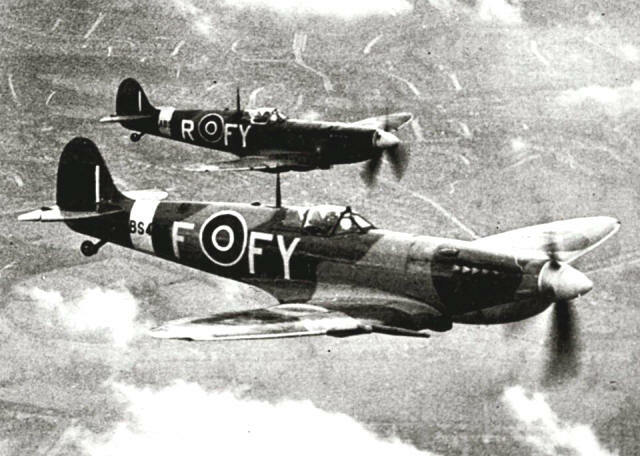 I’ve now discovered that the Malta Mk.IX does not have its original wings, but is the recipient of a second-hand set, which probably explains the presence of the teardrop bulges over the wells; however, it looks as though, on some XVIs at least, the bulge did make its appearance in 1945, maybe because the aircraft were to be delivered to the continent, where metalled runways (and P.S.P., perhaps?) would be encountered more often. All those curves!! More curvey than what you read about in Curve Monthly! How did they make that top cowling and to a constant spec”? It wasn’t stamped out, or was it done on a shaping wheel? Probably built by the same guy who did Park Ward Coachworks Rolls Royce fenders!